Starting a fire is as primal of an act as anything else, and yet so few people know how to really start one. It’s important to know how to build a fire. 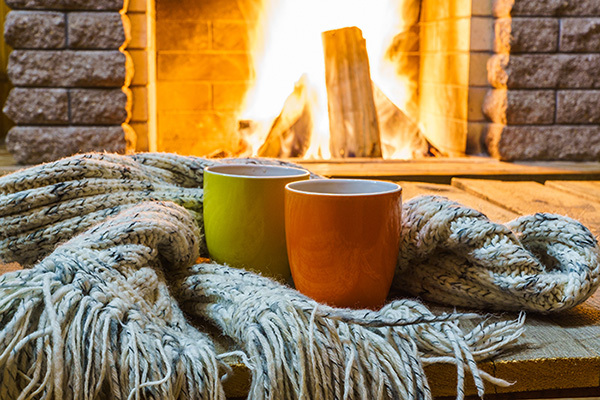 Making a fire incorrectly can be a pain if you’re trying to warm up your house, or even if you’re just trying to make a cozier setting for a party. Not starting a fire correctly can also be a major hazard, leading to a smoke-filled home, overwhelming, bad fumes, or even a fire in your home. To keep you and your family safe, read on to find out a few methods for starting a fire in a fireplace. Here’s another important step that some may forget to do. Before you light a fire, you have to open the damper up. The damper is a metallic or ceramic flap found in the flue. You may have a flap, chain or a latch to open it up. If you forget to open up the damper, your house may fill up with smoke. It’s equally as important to shut it after your fire is done so that cold air doesn’t continually come into the home. Speaking of the damper, when you open it, cold air will immediately begin to enter into the flue. With the way that cold and hot air works, when the damper is opened, warm water will begin to rise, and the cold air will naturally be pulled down and come into the home. Trying to light a fire when this natural occurrence is happening will result in a lot of smoke coming into the home. To avoid it, prime the flue, or warm it up. You can do this by lighting paper on fire (try a rolled up newspaper) and holding it near the open damper for a few minutes. When you feel the air reverse you’ll know the flue is ready. Another tip for building a hot fire is to have a few inches (just one or two) of ash on the bottom of the hearth. If you’ve never built a fire in your fireplace, this may seem impossible, but you can in fact take some ash from your grill and put it in the fireplace. You don’t want too much ash, just enough to create a nice hot fire. You can’t actually go out, cut trees, and place them directly in the fireplace. The result will be that the wood will potentially be damp, and any fire that you start will constantly go out. What you may need is seasoned firewood, which is actually just wood that has been chopped and dried out in a special storage place. In fact, if you can cut the wood for the following year, that’s even better, since the wood will have a long time to fully dry. In terms of storage, you’ll want to keep all of your wood in a place that is protected from the elements; otherwise, if rain or snow gets to the wood, you’re hindering the process of drying it out. A well-ventilated area is especially important, and you’ll want to keep it outside. Keeping your wood inside will attract bugs and unwanted insects. The type of wood that you’ll want to use depends on what is available where you life. If you live in the northern US, you’ll want to use hard maple since it burns for a long time. Birch is often used because it provides an attractive look, but it tends to burn very quickly. Oak is a great option since it provides for a very hot fire that burns for a long period of time. The only drawback to oak is that it needs to dry out for a long period of time, often a year. For this method, you’ll want to put down bigger logs on the bottom of the stack, and then start stacking on top of the big logs some smaller logs. On top of them, you’ll place what are often called kindling sticks. These are sticks that are smaller, around the size of your pinky. On top of the kindling sticks, you can add balled up newspaper. This is a method that’ll allow you to burn a fire for a long time without having to constantly rekindle it. The other option for starting a fire in a fireplace is to first place crumpled up newspaper underneath the grate. Then place kindling on top of the grate at the bottom. Next, you want to arrange the logs on top of the kindling. You can choose to do a triangle method, which is when you stack up the logs in the shape of a triangle, and continually add wood on top of the other pieces. Another option is to place in a perpendicular way two logs on the side of the grate. Then place more logs in a straight line going the other way. This method tends to need a bit more kindling. If you notice the fire is getting smaller, you just need to add more newspaper or kindling. You don’t need to have a huge, raging fire in order for it to create a cozy setting and warm up the house. 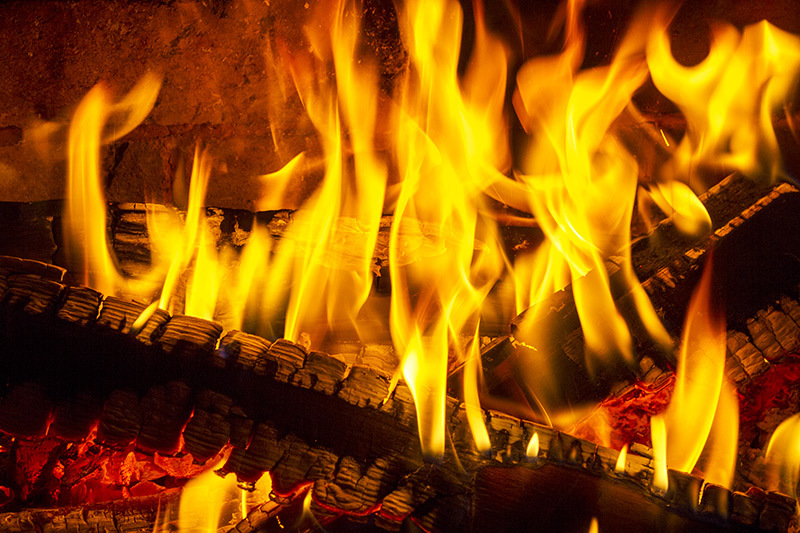 Having a smaller fire will help to limit the creosote buildup and will produce less smoke. This means that you’ll have less to clean up. After your fire, remember that the coals and ash can be hot for several days. Avoid putting anything flammable in the fireplace or you risk a major safety hazard. It’s always a good idea before you start building fires for the winter to get your chimney swept. Companies such as Early Times perform chimney sweeping services for a reasonable price. This is important because keeping the chimney clean and clear is not only imperative for making a good fire; it’s also necessary for keeping your house safe and ensuring noxious fumes don’t enter into the home. Debris from various elements including animals’ nests, leaves that have collected from strong winds or just the change in seasons, and other objects can collect in the chimney and block it off. Without this precaution, you could wind up with a house filled with smoke. Starting a fire in a fireplace is a needed skill to have for anyone who has a fireplace in their home. Too often, people think that they know how to start a fire, only to have their fire die out too quickly, or worse, they experience a smoky house. Remember to open the damper, get your chimney swept on a semi-regular basis, and use the right wood to build the perfect fire. Get a free quote today.